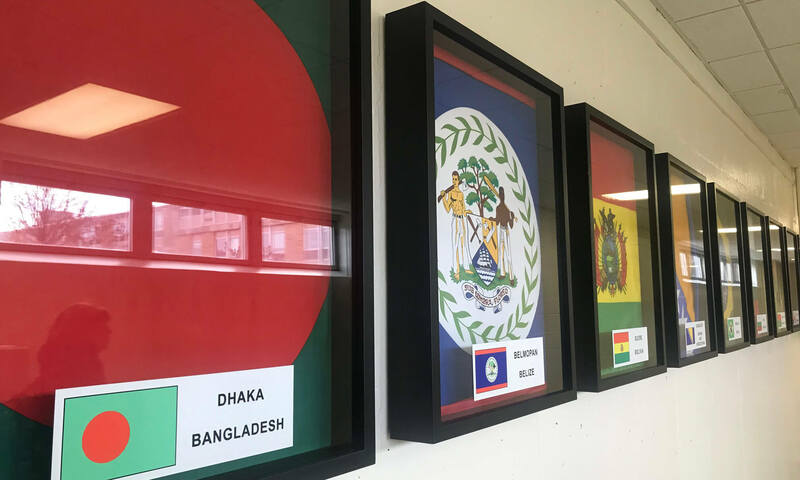 The “flag hallway,” which connects lower Rincker to The Nest, now features updated flags encased in protective frames that are labeled with the representative country. Gone are the ripped and torn banners that had been known to “attack” passersby with even the slightest rush of wind. 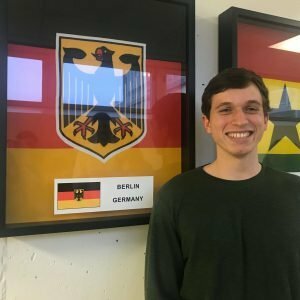 Paul Meisner, from Germany, is one of Concordia’s current international students. 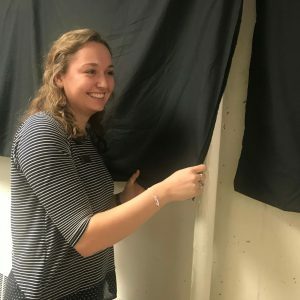 On Wednesday afternoon, SGA held a ceremonial flag reveal and invited the student body to see the updated display. There are now a total of 64 flags in the hallway—one for every country that has ever been represented among CUW’s student body. The flags have graced the space for about two decades. In recent months, SGA added/replaced a total of 16 flags and utilized SGA funds to purchase cases for all of them. They also worked closely with Executive Director of International Education Dr. David Birner to inventory and update the display. The hallway is intended to represent the international reach of Concordia University. Concordia currently has 360 international students from more than 30 different countries enrolled. Stay in touch with the Concordia International Center on Facebook or learn more by visiting cuw.edu/international.